Long-wear, instant gel-like nail finish that's easy to apply and remove. 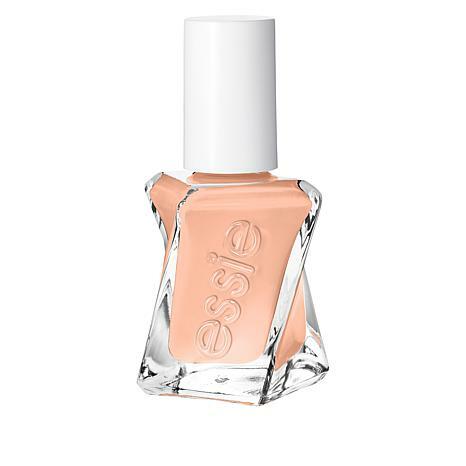 Hydrate with essie apricot cuticle oil (sold separately). 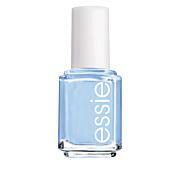 Clean then prep nails with essie base coat or primer (sold separately). 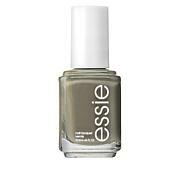 Apply 2 coats of essie gel couture color. Seal and shine with essie top coat (sold separately). ETHYL ACETATE, BUTYL ACETATE, PROPYL ACETATE, NITROCELLULOSE, TOSYLAMIDE/EPOXY RESIN, ISOPROPYL ALCOHOL, ACETYL TRIBUTYL CITRATE, ETHYL TOSYLAMIDE, ACRYLATES COPOLYMER, STEARALKONIUM HECTORITE, TRIBUTYL CITRATE, OCTOCRYLENE, ADIPIC ACID/NEOPENTYL GLYCOL/TRIMELLITIC ANHYDRIDE COPOLYMER, HYDROGENATED ACETOPHENONE/OXYMETHYLENE COPOLYMER, DIMETHICONE, CITRIC ACID, SILICA, BENZOPHENONE-1, OXIDIZED POLYETHYLENE, SYNTHETIC FLUORPHLOGOPITE COLOPHONIUM / ROSIN, CALCIUM SODIUM BOROSILICATE, ALUMINA, POLYETHYLENE TEREPHTHALATE, CALCIUM ALUMINUM BOROSILICATE, TIN OXIDE, POLYURETHANE-11, ALUMINUM HYDROXIDE, ACETONE, CI 77002 / ALUMINUM HYDROXIDE, [+/- MAY CONTAIN: CI 77891 / TITANIUM DIOXIDE, MICA, CI 77491, CI 77499 / IRON OXIDES, CI 77120 / BARIUM SULFATE, CI 15850 / RED 7 LAKE, CI 77007 / ULTRAMARINES, CI 19140 / YELLOW 5 LAKE, CI 15880 / RED 34 LAKE, CI 15850 / RED 6 LAKE, CI 77510 / FERRIC AMMONIUM FERROCYANIDE, CI 77266 [NANO] / BLACK 2, CI 77000 / ALUMINUM POWDER, CI 77163 / BISMUTH OXYCHLORIDE, CI 77510 / FERRIC FERROCYANIDE, CI 77400 / BRONZE POWDER, CI 77400 / COPPER POWDER, CI 42090 / BLUE 1 LAKE, CI 77820 / SILVER, CI 75470 / CARMINE, CI 77288 / CHROMIUM OXIDE GREENS, CI 19140 / YELLOW 5, CI 60725 / VIOLET 2]. For more than 35 years, Essie has inspired a love for the manicure experience. The color authority, born in salons, brings us a line of fashion-forward premium nail polishes. 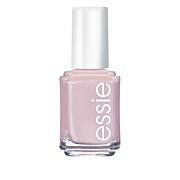 Essie offers whimsical shades in a salon-quality formula and is a go-to brand for beauty professionals, industry insiders, celebrities and fashion icons around the world. Whether you're looking to create cool nail art or treat yourself to a sophisticated manicure or pedicure, Essie has you and your nails covered! Remind me about Essie upcoming shows.